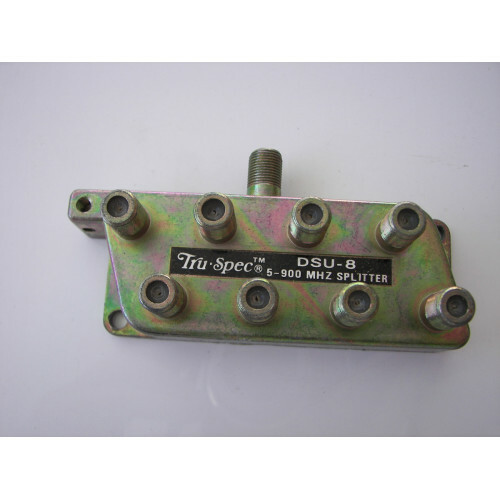 Tru-Spec 8 way splitter. Frequency range of 5 MHz to 900 MHz and will work with both digital and analog signals. This is used to split your TV antenna signal, cable signal, or channel 3/4 output of your Directv or Dish Network satellite receiver to 8 television sets.